SAN DIEGO, Calif. /California Newswire/ — Bank of Southern California, N.A. (OTC Pink: BCAL / OTCMKTS:BCAL) announced it was awarded two top small business lending partner awards in the medium sized bank category by the San Diego District Office of the U.S. Small Business Administration based on the largest quantity and dollar volume of SBA 7(a) loans originated. The rankings reflect the SBA’s fiscal year-end results as of September 30, 2017. These accolades follow the bank’s recognition by the SBA as the top performing small business lending partner for medium sized banks in 2016. In addition, the bank was recently recognized by the State of California Small Business Loan Guarantee Program as a top lender based on the dollar amount of originations in 2017. These noteworthy rankings are a strong indicator of the bank’s consistent commitment in supporting small and mid-sized businesses. “Today, guarantee-sponsored programs such as SBA and the State of California Small Business Loan Guarantee Program continue to be a significant source of capital for many small businesses that otherwise would have difficulty obtaining conventional financing,” commented Tony DiVita, Executive Vice President, Chief Banking Officer. “While not all conventional lenders are equal, neither are SBA lenders. 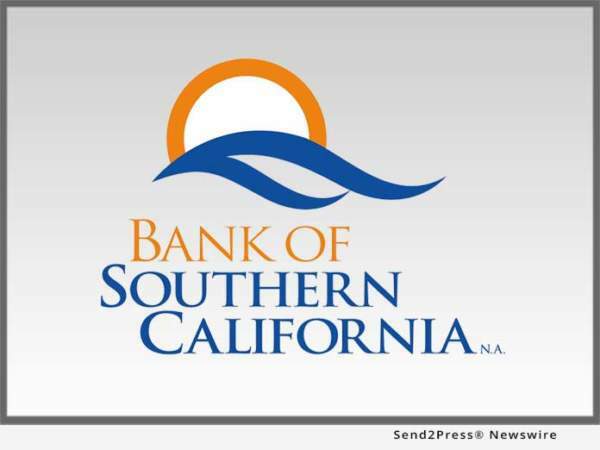 It is important for borrowers to work with experienced lenders like Bank of Southern California who partner with borrowers to help their businesses succeed and prosper. The bank continues to maintain a SBA Preferred Lender Program (PLP) designation which allows us to streamline the process for SBA-guaranteed loans. In addition to the recent recognition as a top lender, the bank maintains a Super Premier Performing status awarded by The Findley Reports and received a five-star superior performance rating by Bauer Financial. These are the highest designations given by these bank rating companies. “Banks have become highly regarded who achieve exceptional performance, and we are honored to be recognized for our efforts which supports that we are meeting the needs of the communities we serve,” concluded DiVita. A growing community bank, established in 2001, Bank of Southern California, N.A., with headquarters in San Diego, Calif., is locally owned and managed, and offers a range of financial products to individuals, professional, and small-to-medium sized businesses. The Bank’s solution-driven, relationship-based approach to banking provides accessibility to decision makers and enhances value through strong partnerships with its clients.